It’s been 19 long years since ace cinematographer and director Rajeev Menon made a movie but it has definitely been worth the wait as Sarvam Thaala Mayam is a film that is worth its weight in gold. 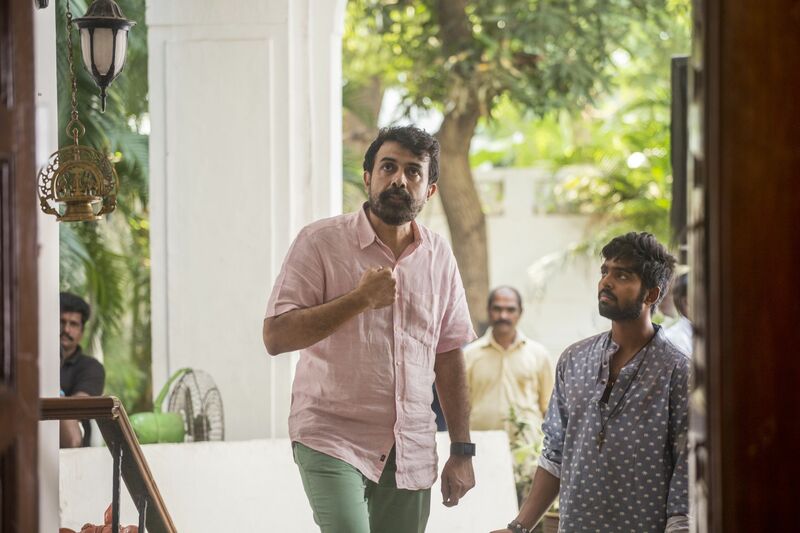 Menon, who impressed everybody with his last film Kandukondein Kandukondein in 2000, repeats the feat again in 2019, proving that he has only gotten better with time. The man, who addressed the media briefly before the press show of the film, said that he had got the inspiration for this film from a concert that he once attended. In the concert, a maker of musical instruments had expressed the hope that someday, he would see even his child being allowed to perform a concert like the one that the director had gone to witness. That statement speaks volumes of the caste divide that prevails in this society and Menon’s film speaks subtly about this divide that tries to keep a young boy who is passionate about music from learning and mastering the art form of his choice. Sarvam Thaala Mayam has several good things to offer a viewer. In fact, it only has good things. First, this is a story of triumph. It is a story that tells that no matter how bad the situation, how vicious people and situations are, nobody can deny you your rightful place, if you are passionate enough about what you want and disciplined enough to train yourself thoroughly in your chosen area of expertise. Sarvam Thaala Mayam gives you hope and courage and for this, it wins its first brownie point. Next, Rajeev Menon seems to have chosen to make a stand that not many directors in today’s day and age would dare to make. He points out how the media looks to manipulate situations to its advantage and also raises questions about the behind-the-scene processes involved in television reality shows and the qualifications of certain people judging certain events. He gently makes us realize that how, as a society, we are quick to judge people and condemn them, even before getting to know them. A case in point is the situation where the character played by Nedumudi Venu, Palghat Vembu Iyer, is interviewed by Anjana (played by DD). The lady, in a bid to tarnish the reputation of Vembu Iyer, poses dicey questions to him including one on why he has not played music for women singers. At that point, the thought that arises in a viewer’s mind is that Vembu Iyer is a misogynist. However, as the story proceeds, you realize that he is nothing of that sort. The fact that it is not necessary for a successful musician to have also played accompanist to a woman singer and that it is simply his choice which he could have made for a number of other reasons, escapes our mind at the time of the question being posed. This self-realisation occurs to the viewer only much later in the film. Well done, Menon. A second brownie point for this skill! 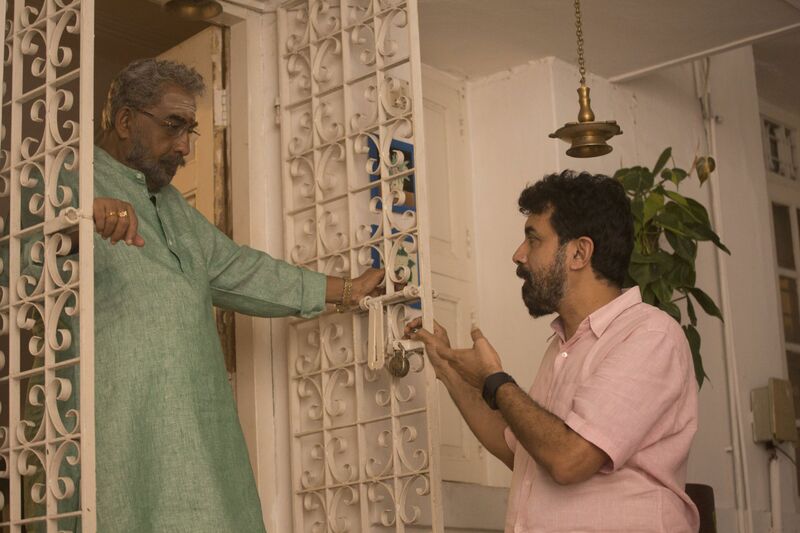 Rajeev Menon, who is a cinematographer himself, understands colours like no other. His usage of greens and blues in songs in Kandukondein Kandukondein were outstanding and that feat is repeated again in Sarvam Thaala Mayam. Right from the minute the Title card appears, the most appropriate colours are used. Every scene looks vibrant and energetic. What can one say but accept that Menon hasn’t lost his masterful touch. To be fair, an equal amount of credit for this should also go to the film’s cinematographer Ravi Yadav. Yadav does a fantastic job behind the camera, gleefully capturing all the beauty that characters and the situations in the film have to offer him. His shots capture the mood of the situation and reinforce the thought that the director is looking to drive across. This is a musical film and in all fairness, for it to work, it must have exceptional music. It does. Why won’t it? After all, it has A R Rahman scoring its music! Coming to the cast, Nedumudi Venu as Palghat Vembu Iyer delivers a commanding performance. The role he plays is a difficult one. On the one hand, he must look arrogant musician but on the other, he must subtly showcase that it is not arrogance that is on display but the confidence that he has in himself and his skill. He does that beautifully, initially earning our suspicion but slowly winning our confidence as the story progresses. 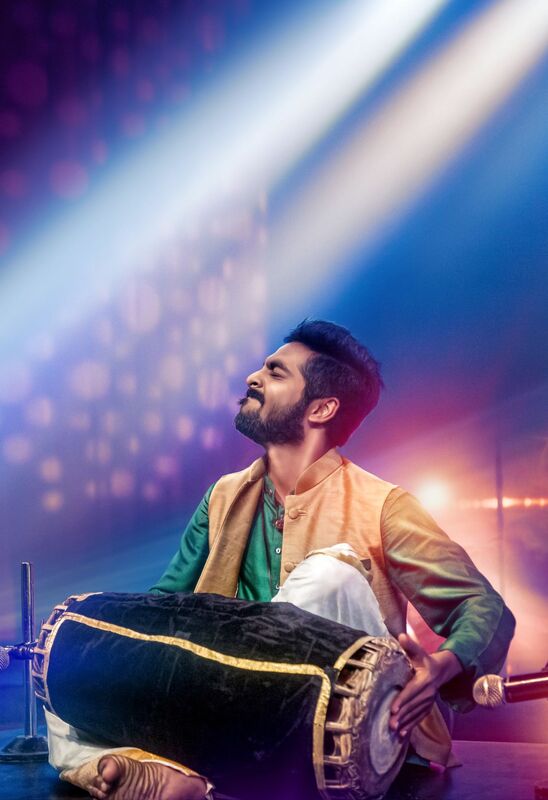 G V Prakash comes up with a fantastic performance as the young Peter Johnson, who thirsts for knowledge about his favourite musical instrument. He comes across as an irresponsible, reckless kid initially to turn into a disciplined student intent on mastering his art. G V Prakash delivers one of his finest performances till date. No wonder then that this film and his performance in it take him one step higher as an actor. Aparna Balamurali is cuteness personified. The actress, who plays Sara, a Malayali nurse, speaks Tamil with a generous sprinkling of Malayalam. The way she delivers those lines are so cute that she instantly wins not just Peter’s heart but also that of the audiences. Vineeth, who has done several films as a hero in Tamil, plays an important role in this film. But more importantly, it is Kumaravel’s work that has to be taken note. This quality actor has time and again been delivering fantastic performances, especially in films made by director Radhamohan. Unfortunately, his work hasn’t received the recognition it deserves. In this film too, Kumaravel as Johnson comes up with a brilliant performance. One only hopes to see this brilliant more often on screen. Finally, Divyadarshini or DD makes a brief appearance in this film but she plays her part neatly and convincingly. To sum it all up, Sarvam Thaala Mayam is a winner and is bound to leave you delighted and upbeat!